Cognata has raised $18.5 million in a funding round led by Scale Venture Partners, fresh capital that the Israeli autonomous simulation startup will use to meet demand for technology that will help companies speed up the deployment of self-driving vehicles. Cognata founder and CEO Danny Atsmon told TechCrunch the company, which has 28 employees, will use the funds to double its staff and expand commercial operations. Cognata wants to increase its international presence, specifically into the U.S., Germany, China and Japan, he added. Existing investors Emerge, Maniv Mobility and Airbus Ventures, as well as newcomer Global IoT Technology Ventures, also participated in the round. “All of the companies that are working on autonomous vehicles in the world identify simulation as a key technology to bring autonomous vehicles to market,” Atsmon told TechCrunch. 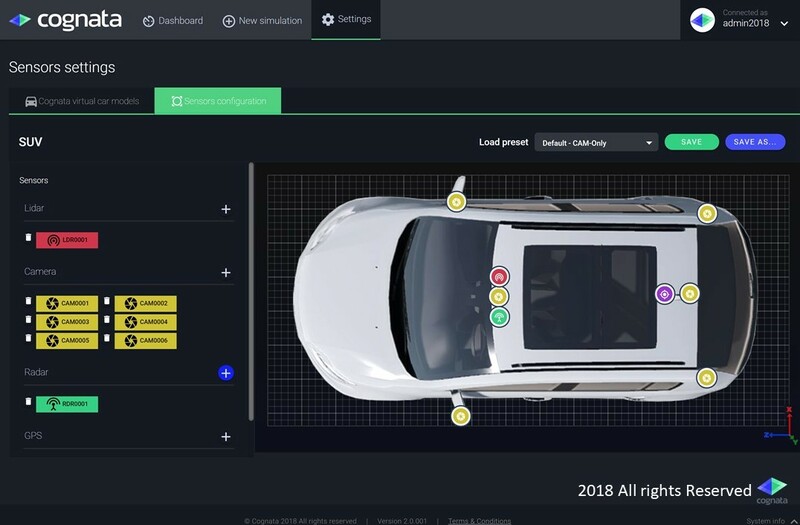 Cognata recreates cities in its 3D simulation platform using a combination of AI, deep learning and computer vision to give customers a variety of testing scenarios that simulates real-world test driving. Many autonomous vehicle companies use simulation because it allows them to test edge cases — those unlikely and unexpected scenarios that pop up while driving — without the risk of an accident. The automotive simulation platform pulls in layers of data to help build these virtual environments. It starts with recreating real cities, then adds AI-based traffic models to simulate real-world conditions, as well as data from the vehicle’s sensors. Audi’s self-driving unit Autonomous Intelligent Driving signed a multi-year partnership earlier this year to use Cognata’s simulation platform to help it bring its self-driving vehicles to market faster. That partnership validates a product Cognata spent 2.5 years to bring to market, Atsmon said, adding with the additional capital “there will be more of these kinds of announcements” in the future. As part of this funding round, Rory O’Driscoll, a partner at Scale Venture Partners, will join Cognata’s board. Cognata raised $5 million in 2017 from Airbus Ventures, Emerge and Maniv Mobility.